How to secure your dumpster rental Edmond Now. Top-tier Customer Service every time you order. Different factors go into pricing a dumpster rental Edmond. The first of which is understanding which size roll off you will need. 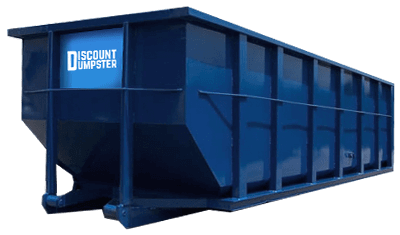 With the largest offering in Oklahoma, Discount Dumpster will provide you with the exact dumpster size you need. By calling our staff you will understand uses for the different dumpster sizes so that you can get rid of your junk quicker. We offer dumpsters ranging from 20 cubic yards all the way up to 40 cubic yards. By providing roll off dumpster Edmond we are able to keep costs low. With 7 plus day rentals we will work with you to get the project completed on time, or hopefully ahead of time. View our sizes below to get a better idea on what dumpster rental Edmond will work well for you. 10 cubic yard dumpster are ideal for residential projects. Roughly the same size as a parking space this dumpster will be great for small cleanup projects. 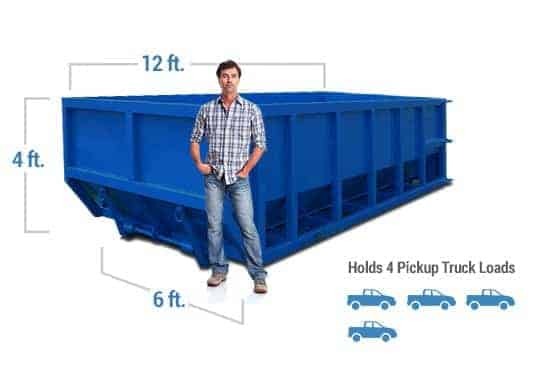 15 cubic yard dumpsters are longer and hold about 6 pick-up truck loads of debris. This dumpster is ideal for remodels, garage cleanouts, or landscaping projects. The 20 cubic yard dumpster measures four feet tall and is a great size for residential projects. This dumpster will fit well on your driveway and is great for larger remodel projects. The 30 cubic yard dumpsters are typically seen on construction sites. This Dumpster Rental Edmond is a great size for larger scale remodeling and construction projects. Holding roughly 14 pick-up truck loads, this dumpster will save you time and money when compared to taking your debris to the dump. The 40 cubic yard dumpster is seen at large scale construction sites. 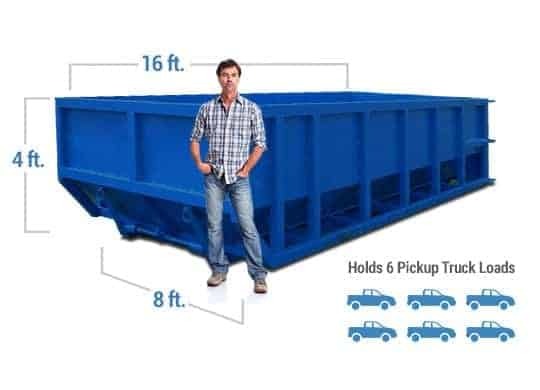 Measuring 8 feet tall, this dumpster is large enough to handle the bulkiest construction material. If you are worried about not having enough room the 40 yard dumpster is best for you. With our many locations across the metro area, we’re able to serve dumpsters to our customers quickly, efficiently, and with competitive prices. Our trucks and cans are ready to delivery dumpsters to your construction site as soon as you can call us! We appreciate our community and we’re here to serve the lowest prices with the highest service.